Erik Prince is the creepy-rich war criminal/ex-CIA agent who founded Blackwater and put John Ashcroft in charge of its ethics department (no, seriously), whose rap-sheet includes reckless, corrupt, murderous, genocidal violence, conducted with near-total impunity. He's also the brother of Betsy De Vos, whose use of her ponzi-scheme millions to undermine public schools qualified her to be Donald Trump's Secretary of Education. Prince has the solution for Trump's Afghanistan woes. Rather than withdrawing troops, or beefing them up, Trump should just replace them with thousands of ruthless, US-tax-dollar-paid mercenaries who would answer to an appointed viceroy who would rule the land on America's behalf. In this way, America would finally bring democracy to Afghanistan. 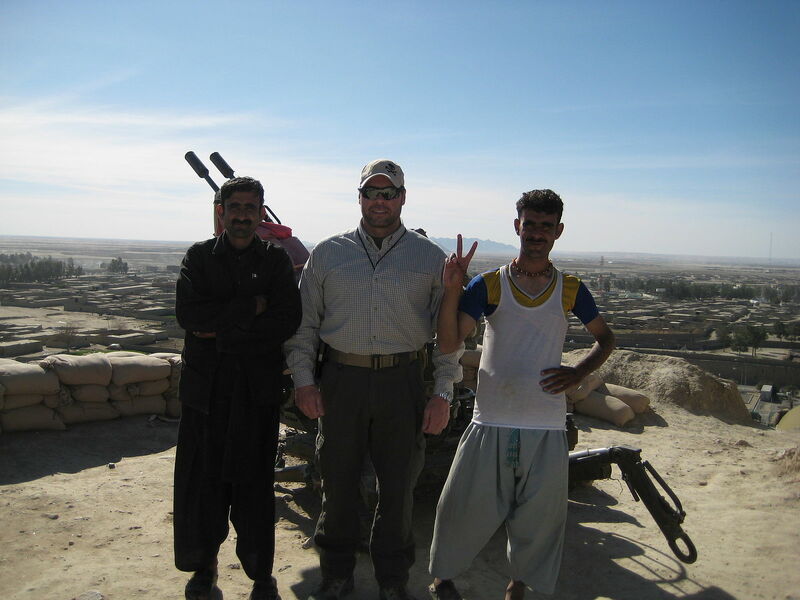 Erik Prince, founder of the now-defunct private mercenary firm Blackwater. Prince told USA Today the plan would include sending 5,500 private mercenaries to Afghanistan to advise the Afghan army. It would also include deploying a private air force—with at least 90 aircraft—to carry out the bombing campaign against Taliban insurgents. The plan’s consideration comes as a federal appeals court has overturned the prison sentences of former Blackwater contractors who were involved in a 2007 massacre in Nisoor Square in central Baghdad, killing 17 civilians when they opened fire with machine guns and threw grenades into the crowded public space.